Flo 'The Scout' has selected a crack team of five players for his 'Project 50' assignment. Over the past few weeks I haven't been able to shake the feeling that I need a new challenge in Official Fantasy Bundesliga. I'm all on my own at the top of our internal league, and although Matt 'The Expert' and James 'The Coach' have the chance to completely overhaul their sides thanks to the Fantasy Upgrade, I can too. That's why I've given myself a new task this week: 'Project 50'. 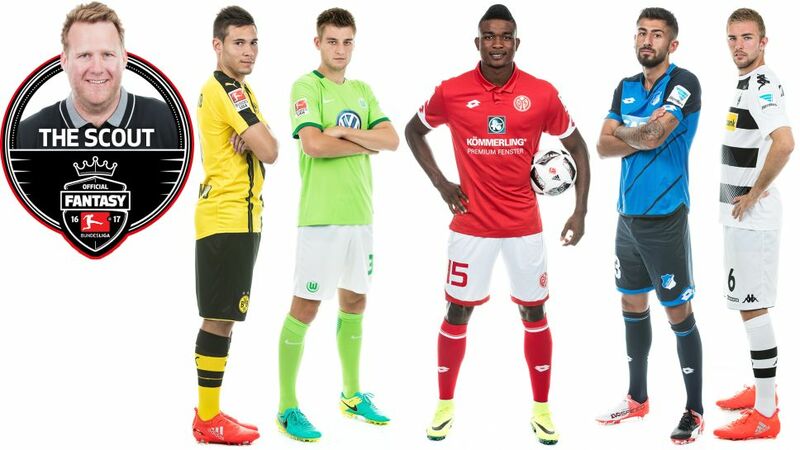 Take advantage of the Official Fantasy Bundesliga's unlimited transfer week now! Are you getting bored of me talking about this guy yet? Then put him in your side! The Portuguese all-rounder is currently only in eight per cent of all Official Fantasy Bundesliga teams, which is far too low for a player of his quality. I'm anticipating another impressive performance from the 22-year-old at home to Hertha Berlin. There's not a great deal more I need to say about Demirbay – like Guerreiro, I've been recommending him to you all for a while now. What makes him an appealing choice this weekend is that Hoffenheim are at home to an SC Freiburg side yet to earn a point on the road this season, plus the fact that the 23-year-old's price tag frees up plenty of funds for more expensive stars.